Gives brilliant, jewel-like glazes when used with acrylic colors. 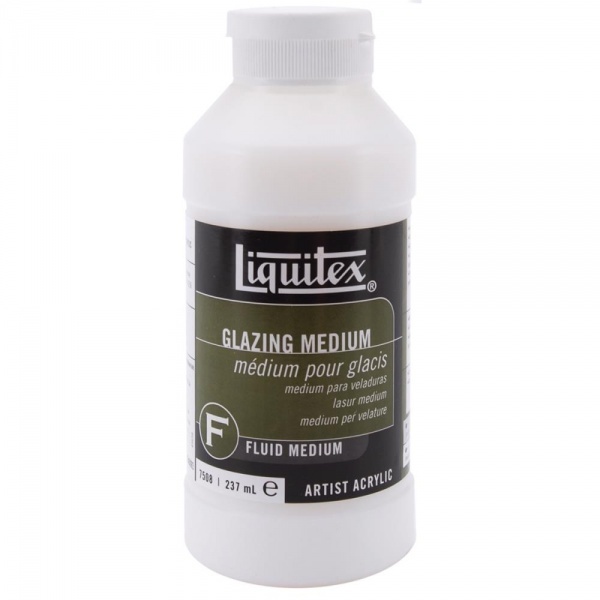 Excellent leveling and brushability are additional benefits of mixing this medium with acrylic paints. Any amount can be mixed with acrylic colors. It is flexible, non-yellowing and water-resistant when dry.